Thank you for that. It wasn't until very recently that I saw Eraserhead- what a crazy movie. When I heard the name David Lynch, I had always thought of Dune. I guess he had made other, crazier, movies. Does anyone know why he was chosen for Dune, or is it that he was the only one willing to take a chance on it? He was hot off the success of Elephant Man. Yep elephant man was HUGE hit and oscar nominated. If you like lynch, try Blue Velvet and Twin Peaks, both dam good. This video from Sean Young is priceless stuff, loved it. 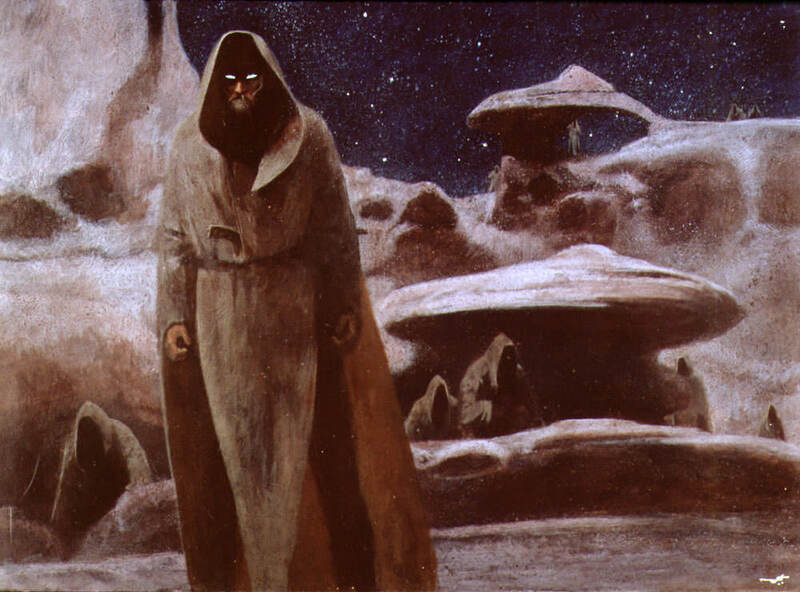 Wish they would do a Blue of Dune with every strip of film, audio and video, the David Lynch version he wanted etc, it would be cool. I know a lot don't like the the movie, but to each their own. franks comment from the the interview with him and lynch says it all. "When you’re doing a film from the written word, you’re translating into a different language. It’s as though you’re translating from English into Swahili. The visual language is a different language." Is this the Sean Young video with her shown reading GEoD in the back of the car? Sorry, I haven't watched it but I think it's been posted before. Freakzilla wrote: Is this the Sean Young video with her shown reading GEoD in the back of the car? Sorry, I haven't watched it but I think it's been posted before. Yeah, twice. First by me in May of last year (same topic title, too) and then by Drunken Idaho last October.